A big online travel agent has apologised after failing to tell a British couple, one of whom is disabled, that their flight from Italy had been cancelled. Teresa Davies and her partner had booked return flights from the UK to Reggio Calabria in southern Italy six months ahead, through Kiwi.com. They were due to fly home on Tuesday 18 September, with the first leg on the Italian carrier Blue Panorama, which would fly them to Rome. But they were staying beneath the flightpath from the airport, and noticed on the previous Friday that the expected morning departure from Reggio Calabria did not take place. “We became concerned and checked with the airline,” said Ms Davies. 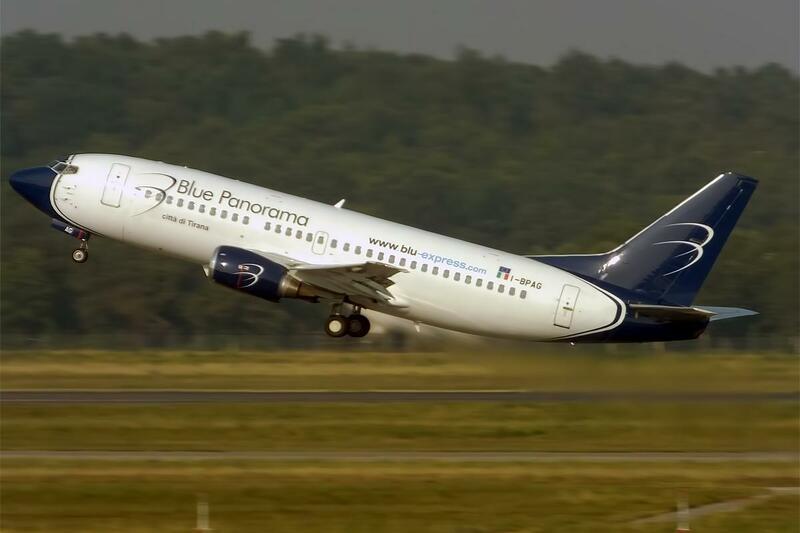 Blue Panorama confirmed that the flight had been cancelled and Kiwi.com had been informed. Yet the travel firm kept insisting that the flight would depart as scheduled. “I spent approximately eight hours over four days trying to sort out the situation,” said Ms Davies. “I kept being told that we would get a response within four hours and to call back if we did not hear anything. The last few days of their holiday were ruined as they waited for Kiwi.com to sort out the disruption. The alternative flight from Reggio Calabria to Rome on Alitalia was gradually filling up. Eventually they abandoned hope that the travel agent would provide a solution, and booked seats on Alitalia themselves. Finally, on Monday morning, they were called by Kiwi and told that they had been re-booked on the very same Alitalia flight. At that point they tried to get the travel agent to refund them for two of the four tickets that they had bought, but Kiwi refused. Their credit card company and travel insurer also declined to help. In addition, says Ms Davies, Alitalia sold their duplicate seats again but refused the couple a refund. Ms Davies spent a month trying to get recompense – and says that when she asked a Kiwi.com customer-service agent for the firm’s UK address, so she could write in, “they would not provide me with this information”. Eventually she contacted The Independent. The company then apologised, saying: “We acknowledge that on this occasion we did not deliver this to the high standards we pride ourselves upon, and as a result of not connecting with the customer in a timely matter, the customer ended up spending unnecessarily on replacement flights. “We have apologised to the customer for the inconvenience and delay, we have provided a full refund which she will receive in the next 24 hours, plus an additional contribution as a gesture of goodwill. Kiwi.com offers a flight-comparison facility, like Skyscanner. But unlike Skyscanner, which earns commission from online travel agents, Kiwi.com sells flights on its own account. The company is based in Brno in the Czech Republic. “Our vision is to make travelling simple and accessible to everyone,” it says. In normal circumstances when a flight is cancelled at short notice, passengers on European airlines are entitled to compensation. But because Blue Panorama gave Kiwi.com plenty of notice, the rules do not apply.